Flip a coin. If heads you catch the defending pokemons deck and get to keep it. 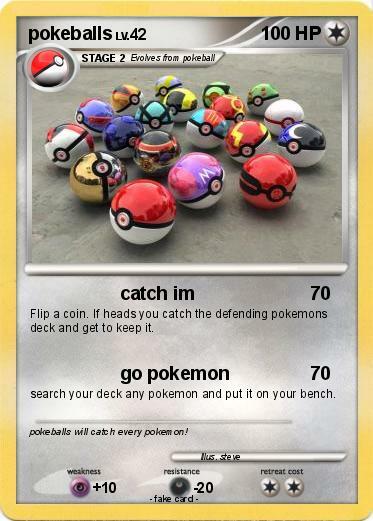 search your deck any pokemon and put it on your bench. Comments : pokeballs will catch every pokemon!